In the mood for adventure? In the mood for adventure? And uncomfortable feelings about puberty? 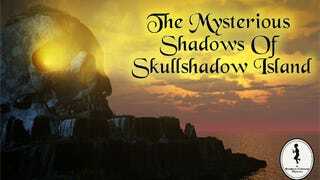 Then you should check out Clickhole's hilariously bizarre pulp adventure parody game, The Mysterious Shadows Of Skullshadow Island. It's about growing up, murder, bad rock ballads, and murder. Think Venture Bros, only somehow darker. Make sure to play to the end. No, the real end.